In which our author, never at a loss for words, spends his 20s figuring out how to use the right ones. 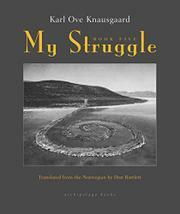 In the previous installment of Knausgaard’s six-volume autobiographical epic, the narrator was a teenager hoping to start a novel and put an end to his virginity. Now, just turned 20 and starting college at the national university in Norway, he’s adjusted his ambitions only slightly: can he get serious about writing and romance? In this book’s first section, both goals take a beating. He’s been accepted into the school’s prestigious writing workshop under the tutelage of national luminaries like Jon Fosse, but his output is desperately subpar. (“Apart from the stupid names and all the clichés, and the lack of psychological insight, I quite liked what you wrote,” one classmate tells him.) As for settling down, his brother, Yngve, winds up stealing away the woman he had his heart set upon. So in the 14 years that follow, Karl Ove becomes aimless and reckless, drinking heavily, playing in bands and hanging out with musicians (in one memorable scene he drunkenly vomits in Bjork’s apartment), taking menial jobs (including a stint helping the mentally handicapped) while launching a sideline as a book critic, and cheating on his girlfriend. All of this, of course, becomes grist for the mill, and the novel becomes a bildungsroman about literary victory snatched from drunken self-loathing. That makes it the most conventional book in the series, but its form echoes the urge for conventionality he’s seeking. And in the context of the entire series, it’s a self-deprecating study of how stories are made and found and how the best ones get ignored. His father's death was a heartbreaking event in Volume 1, told from a decade’s distance. He elides it here, suggesting he lacked the literary and emotional tools to process it at the time. An admirably seriocomic look at a headlong leap into maturity.